Welcome to the jungle. No, welcome to the camp science experiment that is The Rocky Horror Show. The play debuted in London in 1973, made it to Australia in 1974 before it was a cult movie favourite the following year. Now over forty but certainly not fat or fired, this show is still flirty, fun and fabulous, darling. In fact, it could be several decades younger. Richard O’Brien’s rock musical favourite is currently playing in Sydney at the Lyric Theatre for a limited run. It sees the Helpmann Award-winning Craig McLachlan reprising his role as Frank-N-Furter. It’s one he originally performed back in 1992 before reprising it again last year and by gosh, he’s still got it. Kristian Lavercombe is also reprising his role as the caretaker, Riff Raff and he brings a certain frenetic quality to the role that was originally performed by O’Brien. The story follows the wholesome and adorable couple, Brad and Janet (Stephen Mahy and Amy Lehpamer (Dirty Rotten Scoundrels)) who are newly engaged. They take a car trip so they can tell their tutor the good news but they get a flat tyre and are stuck in a bad storm. They enter an eerie castle in the hopes of using the telephone. But after crossing the threshold into pleasure, there’s no going back. In Frank-N-Furter’s funhouse they’re treated to a strange sexual awakening thanks to the eccentric host and his band of crazed oddballs including Magenta (Jayde Westaby), Eddie (Nicholas Christo) and Columbia (Angelique Cassimatis). There is also Frank-N-Furter’s creation, the dopey but loveable Rocky who is played by Brendan Irving and who looks just as good as Ryan Gosling did in Crazy, Stupid, Love. Craig McLachlan steals almost every scene and is absolutely magnetic as Frank-N-Furter. The film screenings and production have always encouraged the audience to participate and it is here that McLachlan really shines. He’s never shy to break lines and add a quip or joke in order to tease and purr at the audience. Dressed in his black corset, high-heels and fishnets he is absolutely gorgeous and always manages to find the right balance between hamming it up and playing the cheeky transvestite who is quick with the wit, double entendres and innuendo. 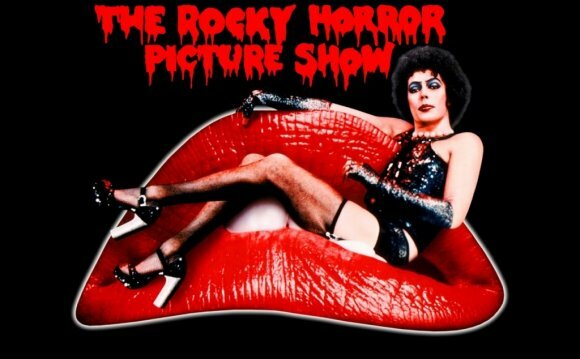 The Rocky Horror Show draws its inspiration from B-grade science fiction and schock horror films. These ideas are particularly evident in the second act where the night at the funhouse descends into madness and strange revelations are made about the different players’ identities. This act isn’t as good as the all-killer, no-filler and energetic first half, which is paced perfectly and has the right amount of narrative, music and exquisite choreography. One of the biggest draw points to The Rocky Horror Show are those classic songs. Tonight the favourites “Time Warp”, “Sweet Transvestite”, “Touch-a Touch-a Touch Me” and “Science Fiction/Double Feature” were among the highlights. In the case of the former track, it was all about camp glitter and being loud and proud while the latter was a softer and more subtle nod at the music from the 1950s. The rock band were tight and raucous although there were some sound issues where the group drowned out the lyrics. This was particularly the case with narrator, Bert Newton’s mic as he was tried to give instructions during the “Time Warp”.